Students are gaining valuable real-world experience in the areas of criminal law, family law, and equity, through the school’s January Term internships. The Ontario Court of Justice Placement Program (OCJPP) provides an exceptional opportunity for students to observe the inner workings of the main criminal trial court in Ontario. Students view pre-trial and trial proceedings, engage in discussions with their supervising justices, and refine their skills in legal research, writing and citation through placements at courts in both London and Toronto. Third-year Western Law student Callie Hill (pictured left) is participating in the OCJPP for the January term at the London Courthouse, and is clerking for justices at the Court during her placement. Hill says she’s gaining insight into how the legal system works in practice and is enjoying speaking with justices informally about current legal issues and real-life legal matters. “The justices’ genuine interest in listening to my thoughts and opinions have been very helpful, and reduced the typical anxieties law students and young lawyers face when first appearing in court,” says Hill. Although Hill says she doesn’t know where her legal career will take her long-term, she’s confident her OCJPP experience will be “invaluable”. An internship with the office of Western’s Equity & Human Rights Services, exposes students to a range of human rights issues. 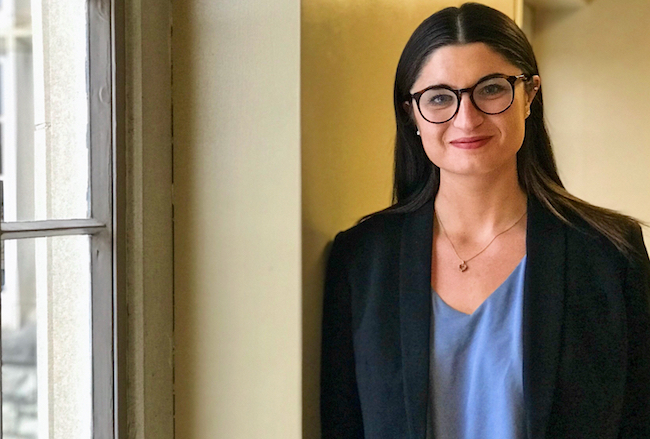 Larissa Bartlett, director of the office, says students will do legal research on issues that affect the university and its community and work on current issues supporting policy development or diversity initiatives on campus. A Family Law externship provides students with the unique opportunity to experience the realities of practicing family law first hand. Students shadow family law professionals - including judges, practitioners in private practice, duty counsel, and professionals at social agencies, and interact with family law litigants, judges, and opposing counsel, often in the jurisdiction in which the student hopes to ultimately practice law. “The externship encourages students to take the knowledge from their academic courses and critically apply it to the experiences they gain through their placements,” says Hilary Jenkins, JD’15, adjunct professor for the externship.